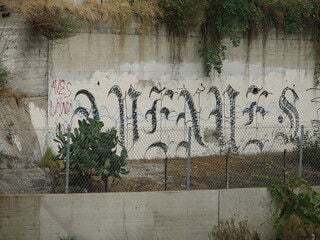 A federal judge today sentenced Avenues gang leader and Mexican Mafia associate Rudy Aguirre Jr. to 25 years in prison in connection with the 1999 murder of a rival gang member and the ordering of the killing of another man, reports the L.A. Times. Prosecutors said the 33-year-old Aguire, also known as “Lil Psycho,” had the blessing of the Mexican Mafia to control the activities of the Avenues, a notorious street gang that has been active across portions of Northeast L.A., including Cypress Park and Highland Park. Aguirre’s arrest and conviction stems from a 2009 police gang crackdown following the fatal shooting of Los Angeles County Sheriff’s Deputy Juan Abel Escalante outside his parents’ home in Cypress Park.